After a day spent in the sun, the last thing your skin needs is a cleanser that is drying and irritating. 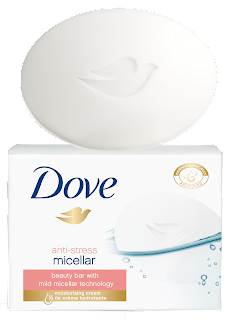 Dove has transferred the impressive credentials of micellar technology to the NEW Dove Anti-Stress Micellar Water Body Wash and Beauty Bar. With mild micellar technology, Dove refreshes skin while gently cleansing away pollutants and environmental stressors to reveal soft, smooth skin. When the Dove goodies arrives, everything sounded wonderful and I was ready to use them that evening in the shower! I started off by trying the Anti-Stress Micellar Body Wash. It instantly bubbled into a light foam that spread easily. I could tell it was gentle on the skin, but was still effective. I ended my shower by using the Anti-Stress Micellar Bar. It creates a thick lather that's amazingly soft. It truly feels like it locks in the moisture, and the aroma really does seem to wash away stress right along with the daily grime. After getting out, I was impressed to feel how soft my skin was. After pat drying, I could see the difference in the dryer spots of my body. I've used these products along with my usual after shower moisturizing routine for a couple days now and have loved the results! I'd highly recommend this Dove line to anyone looking to reduce the stress in their life. As the season transitions from winter to spring, so too must our skincare routine. 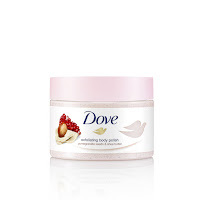 Dove Exfoliating Body Polish is the first body scrub from Dove that exfoliates and nourishes for soft, smooth skin. Formulated with the brand’s signature ¼ moisturizing cream, Dove Exfoliating Body Polish nourishes skin as you exfoliate – making it the perfect addition to your spring skincare routine! Follow with a gentle cleanser, such as Dove Body Wash or Beauty Bar. I am a true lover of bath and beauty products! I've enjoyed using Dove for years now and was excited when I heard they released a line of Exfoliating Body Polishes right in time for Spring. The winter months here are extremely bitter. Between snow, ice, and freezing rains, my skin is thirsting for some hydration. Like we exfoliate our face to remove dry skin, our body is often forgotten in that process. Dove has brought forth a product that embraces their signature 1/4 moisturizing formula with exfoliating agents in the mixture! 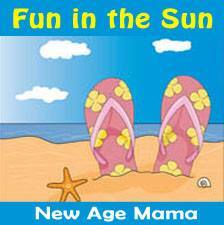 You will get the best of both worlds with this product. 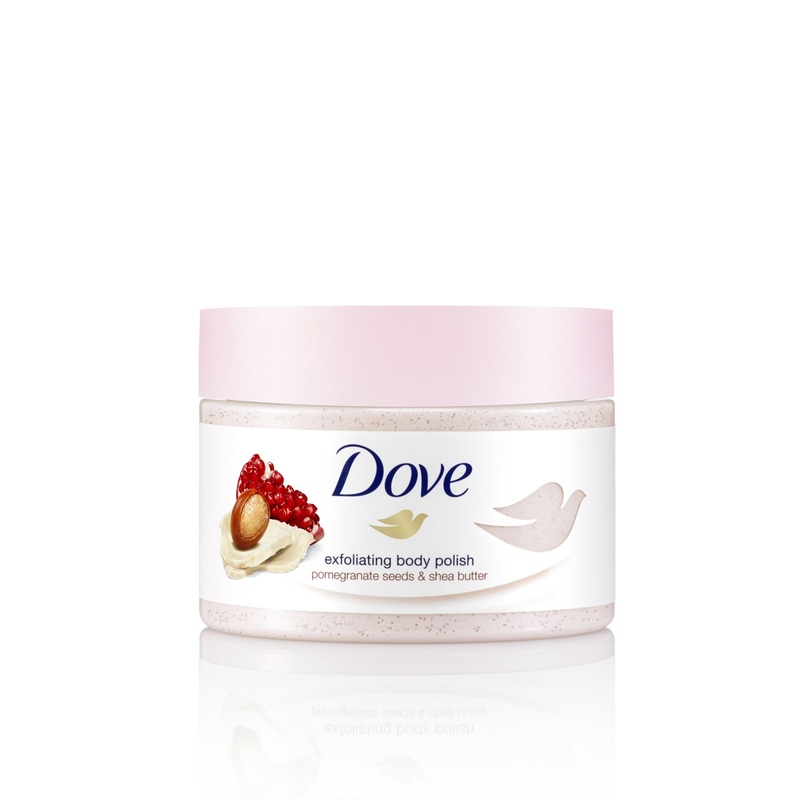 The first aspect of the Dove Exfoliating Body Polish I noticed was that it smelled wonderful! I reviewed the Pomegranate Seeds & Shea Butter option and it was heavenly! The texture was smooth yet thick. It had a whipped texture that spread easily. The Pomegranate seeds were evenly spread through the polish, allowing the user to get enough to spread on the body. I liked to take a small handful and spread it on my loofa. Each time I went into the shower, it felt reminiscent of being at the spa! After use, my skin felt smooth, soft, and smelled amazing! No more dry skin patches! I finished my shower with the Dove Beauty Bar. This is a product that will be added into my regular routine!